Why are we told that we should have a will? When you die without a will, you give up your voice in what should and should not be done with your legacy. When you die intestate (without a will), the law categorizes your family and then divides your assets among them. The probate court examines who survives you. Do you have children? Do you have a spouse? Are your parents or siblings still alive? Based on who survives you, the court then divides your assets among them (assuming your assets exceed your debts). 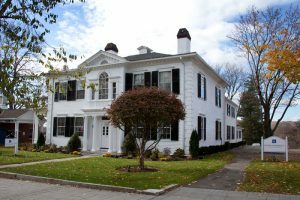 In Connecticut, if you are married and have no children, your parents inherit one quarter of your estate if one or both are still alive. If you remarried after having children, your spouse gets one-half and your children split the rest, and so on. The law does not examine your relationship with family members, but simply checks to see if you are married and who among your relatives is alive. If you have minor children, the court will also have to appoint a guardian. If your child’s other natural parent survived you, the court will likely select him or her as the guardian. If the other parent did not survive you, the court will have to find someone else to raise your children. Often this is a relative, but the Court may not know your relationship with him or her. Further, any inheritance your children get will be placed in a court supervised account until that child turns 18. If the guardian needs funds for school supplies, a bike, or anything else, he or she will have to get court approval before making any withdrawal. This can be and often is more costly than having a will prepared for you. If you have a will, you have control. You can specify your wishes for how your assets will be divided among your family, your friends, or even a charity of your choosing. You can choose who will and will not do certain tasks, and if you have a special needs child or other family member that is receiving state benefits, you can set up a proper trust to help your loved ones without jeopardizing their benefits. However, just because you have a will does not mean you finished your estate planning. Some documents are needed for the living as well. Anyone who has been unable to work for several days knows how quickly things pile up. The same goes for your finances. A durable power of attorney lets you appoint and empower someone to take over for you if you are unable to take care of your finances for an extended period of time. If you have any assets in your name alone, even your spouse cannot access those funds if you are unconscious. That can make paying some bills hard to do. Living wills are similar to durable powers of attorney: you select a healthcare representative to make medical decisions for you when you cannot. Through the living will you can also give instructions about medical treatments you do or do not want performed if you are ever in a coma or cannot speak for yourself about medical decisions. The Health Insurance Portability and Accountability Act (HIPAA) contains a privacy rule that prohibits hospitals from disclosing information about a patient to anyone except the parent of an child under 18. A patient must give a HIPAA waiver to allow anyone else to ask about the patient’s medical status. Without the waiver, a 45 year old child cannot inquire into his 70 year old parent’s condition. Without the waiver, a mother cannot find out her adult child’s status after a surgery. If the patient is conscious, this is a fixable problem; however, if the patient is unconscious, the hospital—by law—can say nothing until the patient regains consciousness or dies. Your death will be a traumatic event in your family’s life, so make it easier for them to handle. Do your estate planning. Have a will, a HIPAA waiver, a durable power of attorney, and a living will drafted for you.